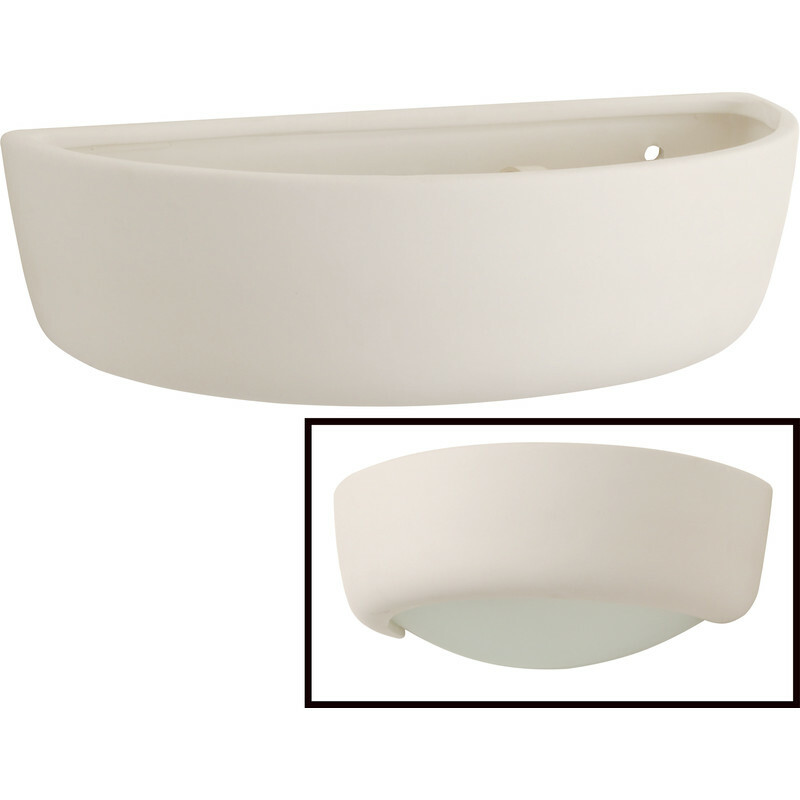 Ceramic body in a natural finish with a pale green glass insert. Fixings and full instructions included. Max 40W SES (E14) lamp (not supplied) H x W x D: 70 x 240 x 120mm. This luminaire is compatible with bulbs of the energy classes A to E.
Ceramic Uplighter with Glass Diffuser E14 40W is rated 5.0 out of 5 by 1. Rated 5 out of 5 by KALbusy from Nice little product .... Bought this to replace a similar, yet slightly larger, fitting that is no longer available .... and very glad I did. It look neat on the wall and gives a very good light both up and down. Will definitely be buying some more.